A classic recipe, and a favorite around the holidays, this thumbprint cookie is simple to make and sure to be one of the first cookies to disappear from the cookie tray. 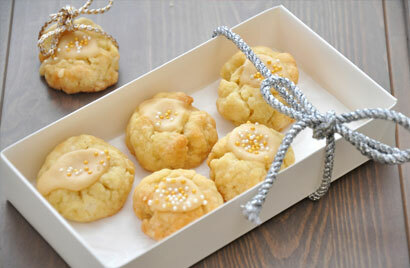 This is also a great cookie to give in tins and cookie trays. Beat butter and Equal until well combined. Mix in egg, milk and vanilla until blended. Gradually beat in combined flour, baking powder, baking soda and salt. Shape dough by teaspoonfuls into balls. Place on sprayed baking sheets. Press thumb deeply into dough to form a “thumbprint” indentation. Bake in preheated 350F oven 11 to 13 minutes or until firm to the touch. Remove from baking sheet and cool completely on wire rack. Fill each cookie with about 1/2 teaspoon spreadable fruit just before serving.